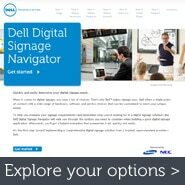 Dell offers a variety of hardware, software, and service options and performs an on-site assessment to develop a digital signage solution customized for your needs and budget. 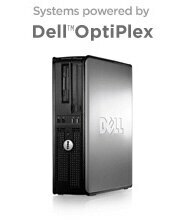 Identify the best possible hardware to meet your requirements including display brands, sizes and features, and Dell systems and servers. Provide a choice of software ranging from simple, locally distributed content management to enterprise-class managed networks spread across the nation or globe. Manage installation, training, and technical support for 10 displays - or 10,000.